Forget your selfie stick. The Selfly smartphone case gives you a detachable camera drone that not only delivers selfies and group photos, but also records amazing aerial videos. Like the idea? Let’s keep checking. The Selfly is an innovative, versatile and pretty fun camera drone equipped phone case that comes in multiple models for various smartphones. Its dedicatedly designed cases supports iPhone 6/7, iPhone 6/7 Plus, Galaxy S6 Edge, Galaxy 7/7 Edge and Nexus 6, and a universal case supports all 4-6 inch smartphones. 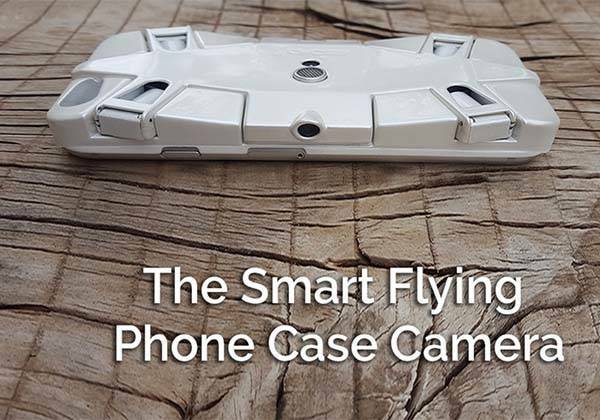 As shown in the images, the phone case shows off a slim and sleek profile, and its patent pending mechanism enables a custom camera drone to fold into the case. Its four propellers retract in the flying drone’s hardshell body for safe storage, and you can easily slide the case in your pocket for portability. Using built-in auto piloting stabilization system, the camera drone is able to hover autonomously in the air in order to help you capture stable selfies, group photos or record videos. 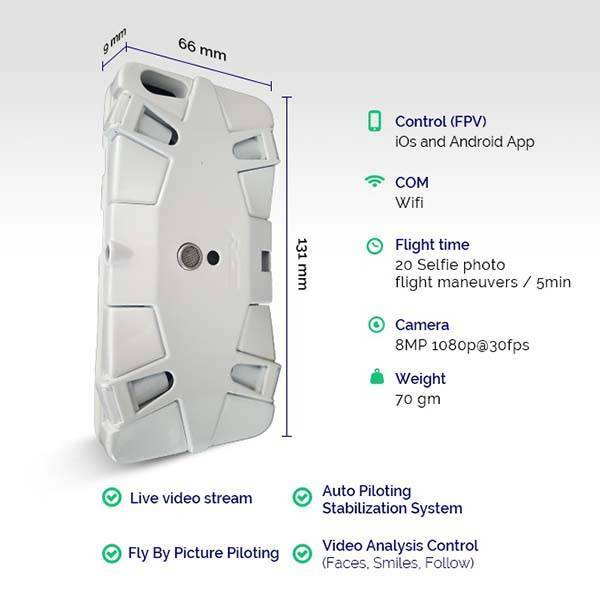 Built-in WiFi connectivity enables it to wirelessly connect with your smartphone so you can use its custom app to control the drone, and its unique “photo based control” allows you to manipulate the picture on the screen, then the drone will perform accordingly. The drone’s 8MP camera supports live video stream and 1080p video recording at 30fps, and its rechargeable battery offers 5 minutes of flight time. The crowdfunding campaign for Selfly is ongoing on Kickstarter. You can pledge $79 to own the camera drone case. It will be shipped in June 2017 if reaching its funding goal. BTW, don’t miss the portable flying camera drone and other related gadgets by following tags.